Today kicks off the 2019 Sale-a-Bration and Occasions Catalogs!!! How do you get one? 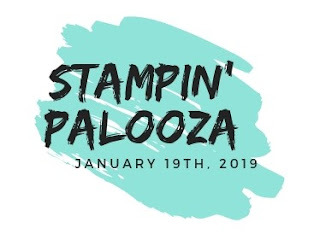 If you are registered for the Stampin' Palooza you will receive one. If you're not, then register now!!! If you can't make the Stampin' Palooza, please contact me and I will mail them out to you. So today I want to share a card from the new Occasions catalog. This is from the Butterfly Gala Bundle. This set comes with stamps and a Butterfly Punch. The Butterfly Punch and stamps are two on one stamp. One small one and one large one. 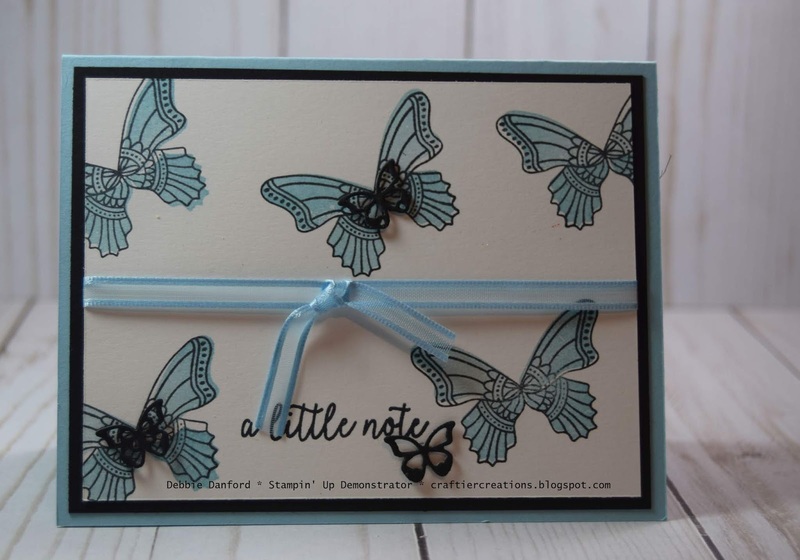 But as you see on this card I only stamped the larger Butterfly. The Butterflies are a two step stamping, if you want to do it that way. You have a lot of options with this set. I stamped the Butterflies with Memento Black on Shimmery White Paper, now remember if you only want to stamp one Butterfly, you will need to mask off the other before stamping it in the ink, then take the mask off to stamp on your paper. Repeat this process. 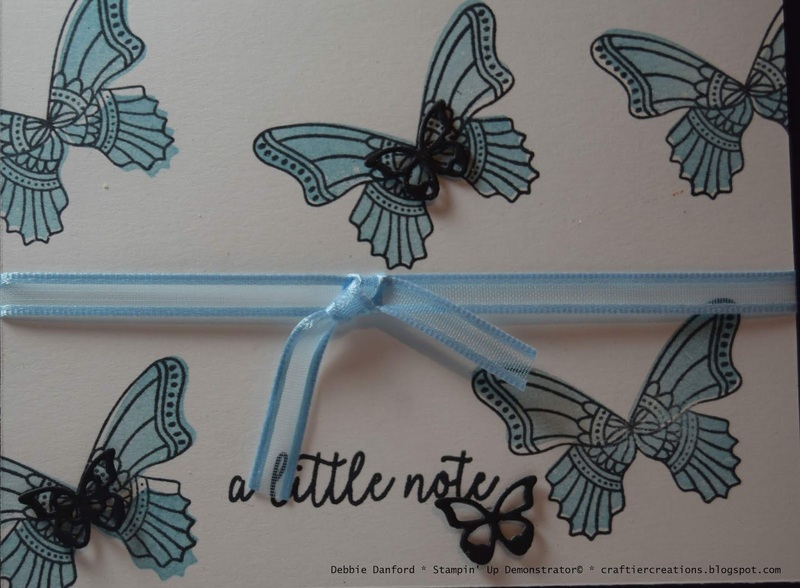 With Balmy Blue stamp the body of each Butterfly. I choose to use only one color but the body stamps are separate, so you could use different colors if you wanted. 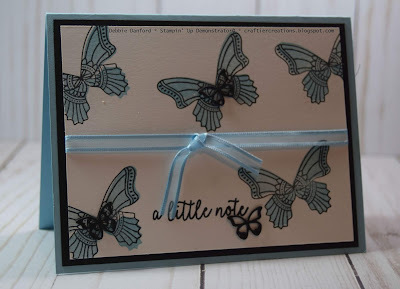 The three little die cut Butterflies I put on top came from the Beauty Abounds Bundle. I die cut these out of the center of the Basic Black layer. Attach the Balmy Blue Organdy Ribbon, (free with $50.00) and attach all layers.